Game of Thrones fans can attest to a big truth: if one doesn't pay close enough attention to what's happening on screen, they'll miss out on a ton of tiny details. This certainly applied to the first episode of Thrones' eighth and final season. 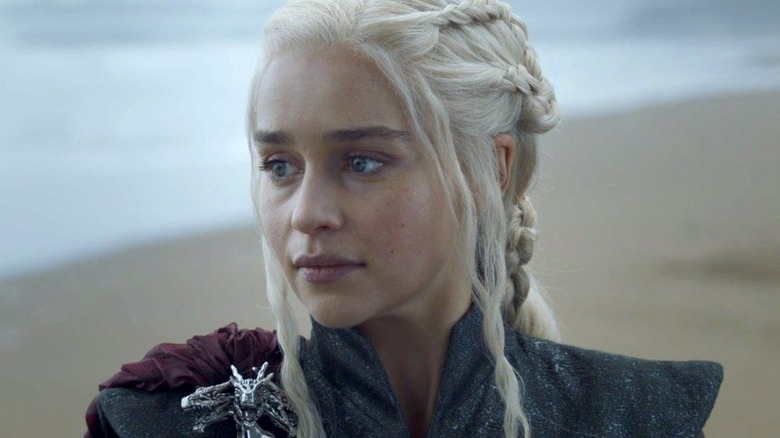 The premiere featured plenty of buzz-worthy moments — like the heartwarming reunion between Jon (Kit Harington) and Arya (Maisie Williams), the awkward reunion between Jon and Bran (Isaac Hempstead Wright), the dramatic reunion between Bran and Jaime Lannister (Nikolaj Coster-Waldau), plus that dragon joyride and Jon discovering he's a Targaryen and Cersei getting sassy about Euron Greyjoy (Pilou Asbæk) not bringing her any elephants and Daenerys (Emilia Clarke) not giving a single hoot about telling Sam (John Bradley) she burnt his family alive. What has people talking even more than all that are the two blink-and-you'll-miss-them cameos that most people didn't pick up on the first time around — you know, on account of everything else happening during the episode. About 28 minutes into the season 8 premiere, there's a scene in which Theon Greyjoy (Alfie Allen) storms his uncle Euron's ship, making his way to his sister Yara (Gemma Whelan), whom he cowardly but ultimately cleverly left in the lurch in season 7. Before he can rescue her, however, Theon has to pick off (or should we say "poke through"?) a few members of Euron's fleet. Theon's hand is steady as he fires an arrow clean into the back of one man's skull, sending it shooting out his eye. He and two men behind him put several more arrows through the heads of other random guys on deck. The siege is successful, the path to Yara is clear, and Theon is free to return to Winterfell while Yara looks over the Ironborn as Queen of the Iron Islands. On the surface, the scene doesn't seem out of the ordinary: it's a calculated act of violence executed to meet an end goal. Look closer at the people playing Theon's victims, though, and you'll see that the sequence is anything but normal, as it features cameo appearances from It's Always Sunny in Philadelphia actor Rob McElhenney and Silicon Valley star Martin Starr. 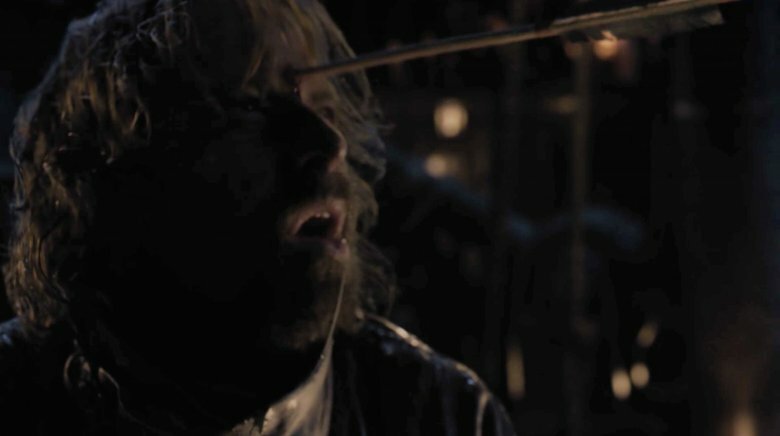 We'll break things down for those who completely missed the cameos: McElhenney plays the first person Theon kills, appearing at the 28:15 mark of the episode with an arrow sticking out of his eye; Starr can be spotted immediately after, at 28 minutes and 17 seconds, as the dude who gets an arrow to the brain. They aren't on screen for very long and the dim lighting makes it difficult to recognize their faces, so it's easy to see why so many never caught McElhenney and Starr on the season 8 premiere of Game of Thrones. With each passing season, the series has gotten better at sneaking in celebrity cameos that can only the most eagle-eyed viewers can immediately find. Over the years, Game of Thrones showrunners David Benioff and D.B. Weiss have managed to include musicians, other actors, and even politic figures on the series. Former U.S. president George W. Bush's likeness showed up on Thrones as a severed head on a spike, Coldplay drummer Will Champion appeared as (what else?) a drummer during the infamous Red Wedding, the members of heavy metal band Mastodon twice popped up as Wildings whom the Night King turned into wights, comedian Steve Love cameoed as a victim of the Hound, and professional baseball player Noah Syndergaard had a tiny role as a soldier in Jaime Lannister's army. Even Weiss and Benioff themselves made cameo appearances, their mugs seen in the Hall of Faces at the House of Black and White. And very few could forget the time singer-songwriter Ed Sheeran appeared on Thrones, playing a singing Lannister bannerman Arya met as she was traveling to King's Landing. While many Game of Thrones fans weren't keen on Sheeran's cameo, most everyone is loving that McElhenney and Starr got to be a part of the series, if only for a few seconds each. In a way, it marks a full-circle moment: McElhenney is close friends with Benioff and Weiss, who previously wrote the season 9 It's Always Sunny episode "Flowers for Charlie" and made their own small appearances on the season 12 installment "The Gang Goes to a Water Park." A longtime Thrones fan, McElhenney was thought to have already cameoed on the show back in season 6, appearing alongside his Always Sunny co-star Charlie Kelly as Unsullied soldiers, but that ended up just a rumor. Though his Thrones fame may have only lasted two seconds instead of 15 minutes, McElhenney finally got to cameo — and just in time for the series to end. 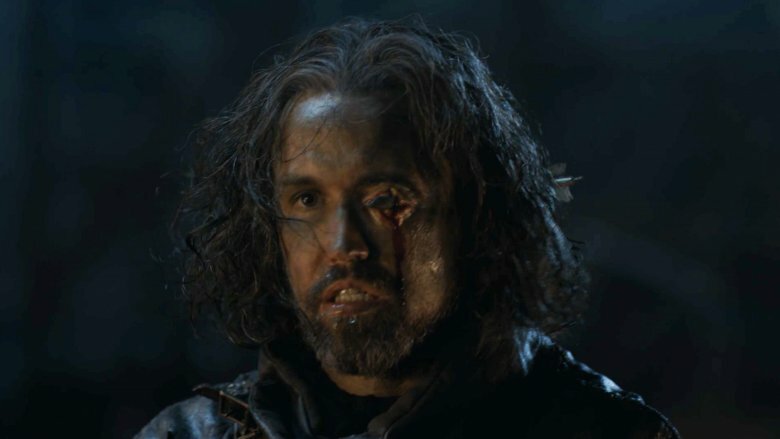 McElhenney and Starr's cameos here may be just the tip of the iceberg for the final season of Thrones. Perhaps the show, which has only five episodes left before it's gone forever, will feature more familiar faces in small scenes moving forward. Billie Eilish as a White Walker? Jeff Goldblum as a man who gets roasted by one of Dany's dragons? Thrones star Sophie Turner's fiancé Joe Jonas appearing as a Lannister soldier? We'd pay good money to see those cameos happen. Unfortunately, there's one person who definitely won't appear on the final season of Game of Thrones: the mastermind behind the whole thing, George R.R. Martin. As it turns out, the A Song of Ice and Fire author had the opportunity to cameo on season 8, but turned it down in favor of working on finishing The Winds of Winter, the long-awaited sixth book in his novel series upon which the show is based. In the game of Thrones cameos, you either accept and play a character who probably dies, or you decline and deliver on your past promises. McElhenney and Starr may have had more fun, but Martin chose wisely. Game of Thrones season 8 airs Sundays at 9 PM ET on HBO.